unique manner. Traditional furniture and items are not practical choices for these children. Thanks to research and modern engineering, much equipment is now available for children with special needs. After understanding the limitations of children with disabilities or special needs, many products have been designed for practical use as well as to have fun and be independent. The list of safe and comfortable adaptive equipment is endless. Some of these include car seats, strollers, pushchairs, tricycles, walkers, gait trainers, toileting chairs, sleeping aids, tables, chairs, bathing aids, swings, etc. For most special needs, modified products are available already. Many companies also personalize equipment for specific needs. It is advisable to consult a therapist or doctor regarding the equipment. Adaptive equipment can be very expensive. However, it is worth thinking about the child’s happiness and independence and comparing it to the price to understand the importance of adaptive equipment. After all, your child just like other children deserves to enjoy and feel happy, safe, comfortable, and independent. Some adaptive equipment is also eligible for coverage under insurance policies. Daily Living Aids: Range of equipment that help in daily life activities like bathing, carrying, child care, dispenser aids, clothing, dressing, feeding, grooming, hygiene, health care, reaching, holding, time, toileting, and moving. Vision: Range of equipment includes products for people with visual disabilities like educational aids, computers, health care, information storage, labeling, orientation, mobility, recreation, reading, sensors, telephones, tools, time, typing, travel, and Braille. Communication: Range of equipment includes products for people with speech, writing, or communication related disabilities. These include alternative communication aids, mouthsticks, headwands, signal systems, typing, telephones, and writing. Computers: Range of equipment includes products that help people use computers and IT more effectively. The products include various softwares, hardware, and computer accessories. Controls: Range of equipment includes products like control switches, and environmental controls. Deaf: Range of equipment includes products for people with hearing disabilities and includes amplification, recreational electronics, hearing aids, sign language, speech training, telephones, time, and signal switches. Deaf Blind: Range of equipment is available for people who are both deaf and blind. Education: Range of equipment includes products for children with disabilities who need access to educational material and instructions at schools. Environmental Adaptations: Range of equipment includes products to make the environment more accessible and include furniture, indoor environment, outdoor environment, specialties, vertical accessibility, lighting, and signs. Orthotics: Range of equipment includes products like braces to support limbs or joints. The products include equipment to support the head and neck, torso, lower extremity, and upper extremity. Prosthetics: Range of equipment includes products for amputees and includes lower extremity and upper extremity products. Recreation: Range of equipment includes products for disable people’s leisure and entertainment. These include crafts, music, photography, electronics, sports, and toys. Safety: Range of equipment includes products for the safety and security of disabled people. These include security systems, alarms, childproof devices, lights, electric cords, and locks. Seating/Walking: Range of equipment includes products to sit comfortable and walk properly without help. These include seating systems, therapeutic seats, cushions, canes, braces, crutches, and walkers. Wheeled Mobility: Range of equipment includes products to help people be mobile and move freely. 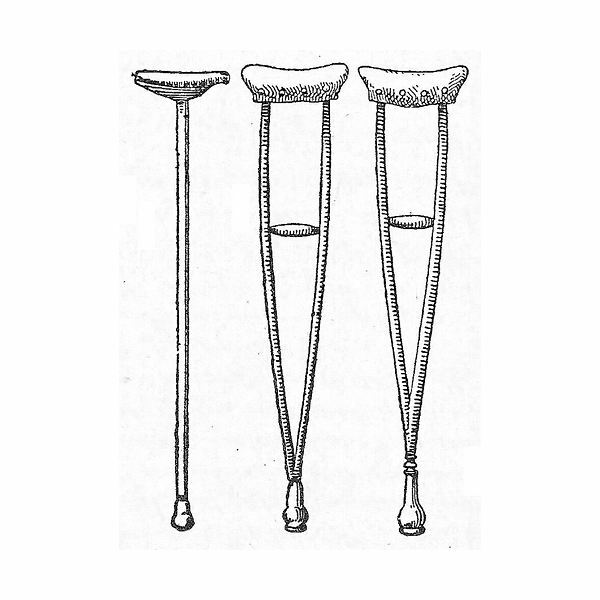 Products include manual and powered wheelchairs, scooters, wheelchair accessories, carts, stretchers, and transporters. For children with special needs in classrooms, adaptive equipment is very much needed. Most of this equipment is designed to help the child succeed in the classroom. The idea is to let these children have enough opportunities to be equivalent to his/her peers. The child’s Individual Education Plan (IEP) includes all equipment that is needed to ensure the child’s success. There are no minimum requirements as such. However, each school must assess the needs of its students and provide the necessary equipment or ask parents to do so. All schools must evaluate the child’s disabilities individually. Small modifications like preferential seating, voice recorders, keyboard to take notes, easels to adjust angle of paper, special writing supplies like pencil grips or thick pencils etc. For children with speech impairments, augmentative communication devices have been designed. These simple devices include Mayer Johnson Picture Symbols, communication boards, speaking devices, etc. For children with positioning disabilities, special positioning devices have been designed. For example, a child with a broken leg might need an extra chair with a cushion or pillow on it or a child with ADHD can use the simulation pillow that increase attention span. A physical therapist along with the educational team can discuss and decide what equipment may be needed for the child’s special needs. Some children cannot use traditional desks and chairs and may need personalized wheelchairs or positioning furniture. Many modular seating equipment have back supports, sidebars, strap to maintain position, etc. Adaptive equipment is also needed in restrooms. Some school restrooms have special disable restrooms. These have side rails, extended and elevated toilet seats, changing table, etc. During lunch, modified utensils, and cutlery like non-skid plates are available. Some children with special needs must remain standing for a certain number of hour’s everyday. Special standers that provide back and leg support are available for children of all ages. These standers can be adjusted when the child grows. They also come with tables that allow students to participate in classroom activities in a standing position.